. :Getting in the holiday spirit:. Mixing and Matching is Easy! Faber-Castell Design Memory Craft® takes all the guess work out of color coordination! 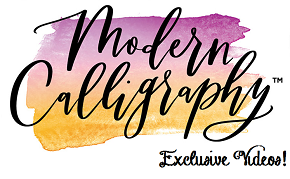 I used their amazing products to layer, blend and highlight my stamped image. 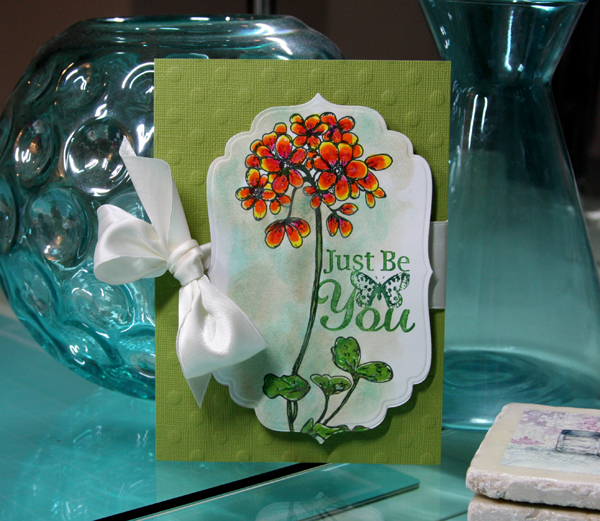 For the main color in this card, I used the Paper Crafter Crayons (Red/Yellow Mix n’ Match). The package comes with 8 colors, so you could even blend more colors for a beautiful look. Stamp wild geranium stamp with black ink onto smooth white cardstock (since we are using water, make sure you choose a paper that can withstand some moisture without balling the paper). 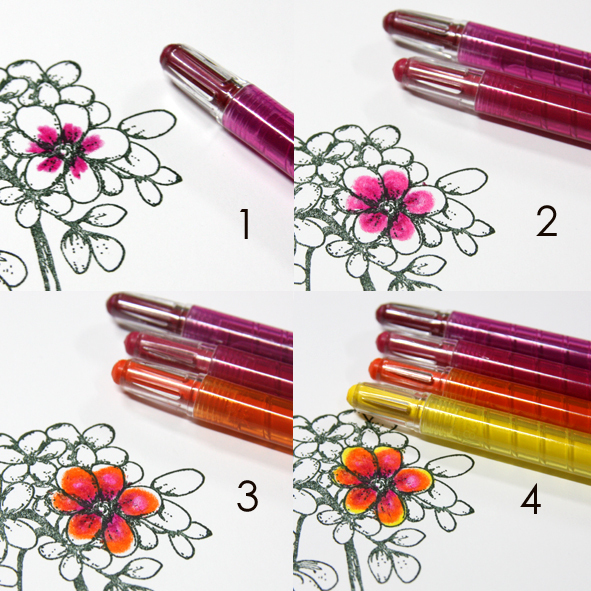 Take first color and start on the inside of each petal (pink), work with second color (fuscia), third color (orange), and finally the fourth lightest color (yellow). 3. 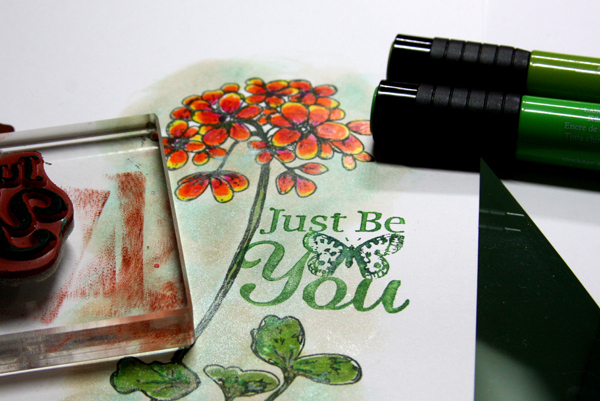 Color the stem with Stamper’s Big Brush Pens (May Green #170). 4. 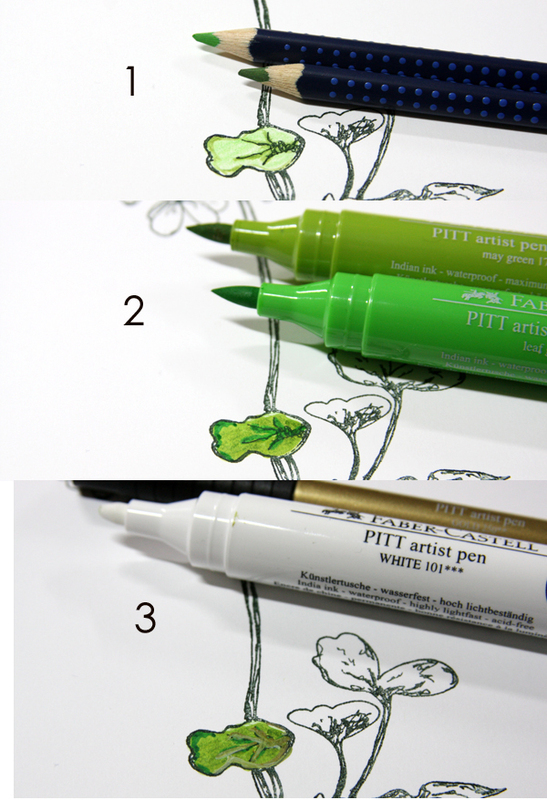 Color leaves with a base of watercolor pencils, followed by Stamper’s Big Brush Pens in 2 shades of green. 5. Use Stamper’s Big Brush Pen (White #101) and Metallic PITT® Artist Pen (Gold #250) to highlight the leaves as a last step. 6. To make a watercolor background, get a bowl of water, dip your finger in the water and wet the tip of the Gelatos® (Gold, Teal). Apply the Gelatos® to the background by rubbing your finger around in swipes and circles until you achieve the look you want. 7. Stamp sentiment by applying color from Stamper’s Big Brush Pens (Leaf Green #112, Cobalt Turquoise #153) onto the stamp directly, then stamp onto paper. 8. Die cut label and make into a card with ribbon and cardstock. Your card turned out lovely! I really like the bright colors of the flowers. Beautiful! Love your flowers and coloring ideas! Thanks for sharing. Whoops! Also wanted to say, I love your tip on doing the background with the gelatos. I love the look of it and will have to try this! Thanks for sharing.